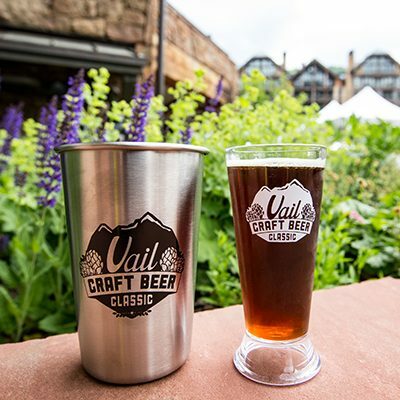 The Vail Craft Beer Classic offers a variety of experiences on the mountain, classrooms, and around town. 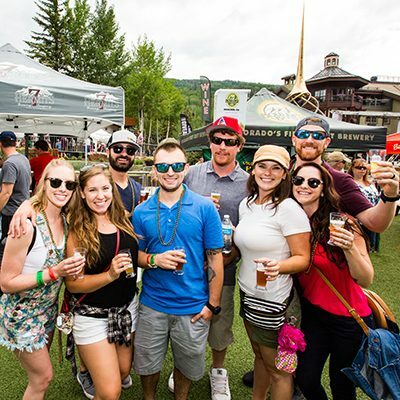 Geek out on all-things beer with the sharpest minds in the industry while experiencing all that Vail has to offer for your mountain weekend. All events, prices, personalities, performances, venues, dates and times subject to change without notice. No refunds or exchanges. No one under 21 will be admitted, including infants or children, and you must show valid photo ID. The Classic urges all adults to consume alcoholic products responsibly. 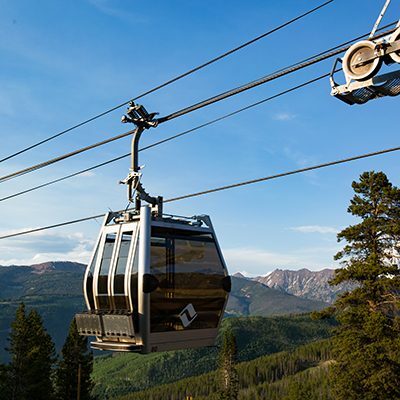 Take a scenic gondola ride to the top of Vail Mountain for arguably, the highest altitude beer tasting in the country! 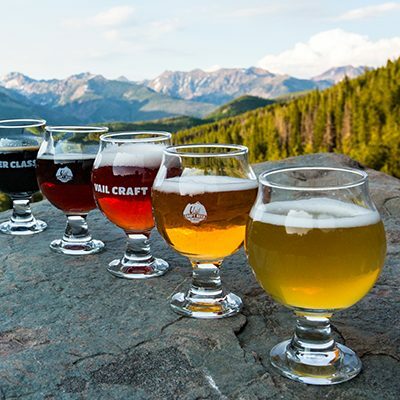 Explore a range of craft beer from members of the Colorado Brewer’s Guild. We’re talking Colorado’s finest breweries, pouring their favorite brews alongside a world class BBQ feast as the sun sets over the horizon. Attendance is limited as this is your chance to get up close and personal with the folks who make your beer. All events, prices, personalities, performances, venues, dates and times subject to change without notice. No refunds or exchanges. No one under 21 will be admitted, must show valid photo ID. The Classic urges all adults to consume alcoholic products responsibly. Get the VIP treatment at the signature event at this year’s Classic! Enjoy some extra exclusive tastings from select breweries and other friends of the Classic from the comfort of a VIP area not open to the public. Ticket includes a commemorative pint glass and VIP access. Extremely limited tickets available for VIP experience. Our biggest tasting of the weekend is anything but traditional. The Toast culminates with an impressive selection of over 50 breweries from coast to coast, featuring hundreds of craft beers. 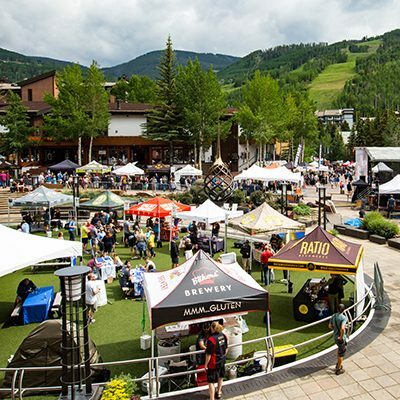 Nestled in the heart of Vail Village, enjoy samples from your favorites, find new rare offerings, and have the opportunity to sit with a brewmaster during a pop-up session at the Toast. Live bluegrass music will pair well with the beer and continue into the evening with a post-event free concert at Solaris Plaza. 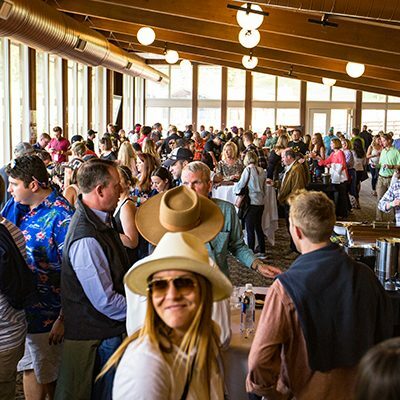 Get the most out of your Vail experience with the tickets to the largest tastings of the weekend. 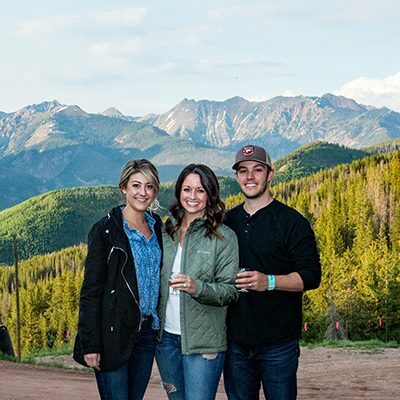 This discount package includes one ticket to Friday’s Sip at the Summit at Mid Vail and one ticket to the VIP Saturday Toast of Vail. VIP Toast of Vail includes extra exclusive tastings from select breweries not available to the public at the event. Ticket includes a commemorative pint glass and VIP access. This special package is a limited offer. Get the most out of your Vail experience with the tickets to the largest tastings of the weekend. This combo package includes one ticket to Friday’s Sip at the Summit at Mid Vail and one ticket to the Saturday Toast of Vail. This special package is a limited offer. 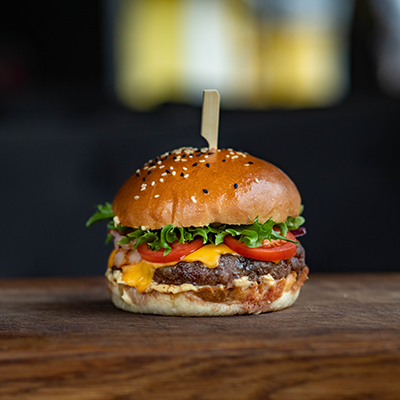 Be there for the inaugural Rocky Mountain Burger Battle this June 20 for the ultimate burger showdown! 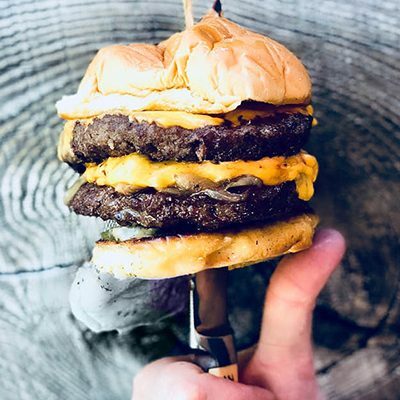 Taste and vote for your favorite burger from an impressive, curated bracket of independently owned restaurants from across the Rocky Mountains. 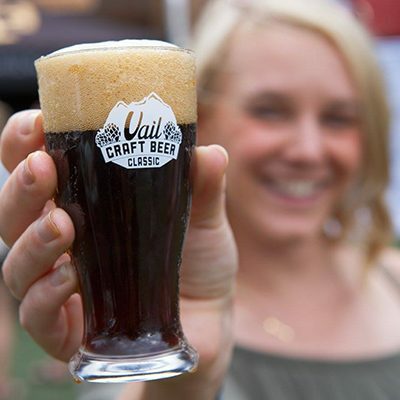 Return to Vail Village Saturday for the Toast of Vail, the largest sampling of the Vail Craft Beer Classic. This special package is a limited offer including one ticket to both events. Fill your weekend with beer, burgers and more beer! Thursday night, be there for the inaugural Rocky Mountain Burger Battle and the ultimate burger showdown! Friday night ride the gondola to the top of the mountain for a BBQ dinner and beer tasting you’ll never forget. Wind down on Saturday for the Toast of Vail and large sampling of beers from Colorado and beyond. This is the ultimate Vail dining package and not to be missed! This special deal is a limited offer including one ticket to both events. Fish alongside Chad Yakobson, owner of Crooked Stave Brewing and his team of brewers on the Eagle River. They’re avid fisherman and you can pick their brain on everything from wild fermentation to wild trout at this angler’s paradise. 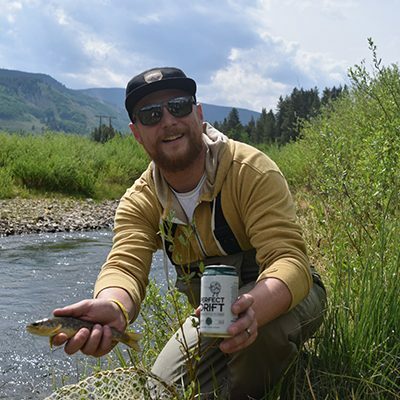 Whether you’re casting for the very first time or matching the hatch in early morning solitude, this unique seminar brings you the best in fly fishing, scenery, and of course, beer. Guides, gear, and fishing licenses will be provided by Minturn Anglers. Please allow ample time for this excursion – approx. 8AM-1PM. This guided event is limited to the first 10 people who register. Hop on for this unique event that combines two of Vail’s best world-class activities, biking and dining! This truly unforgettable road ride will start at the top of Vail pass and end at a paired lunch with New Belgium Brewing. Experts from the brewery will be entertaining their two passions, beer and the great outdoors. 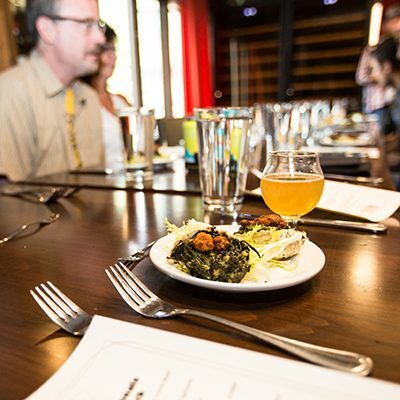 Following the ride, shed the dirt and indulge in a delicious lunch and beer tasting. Mother Nature Disclaimer: Ride may be weather dependent if trails and/or conditions are unsafe for our riders. Lunch pairing portion of the event will happen rain or shine. Shuttle to the top of the pass included in ride. Bikes and helmets provided at additional cost. 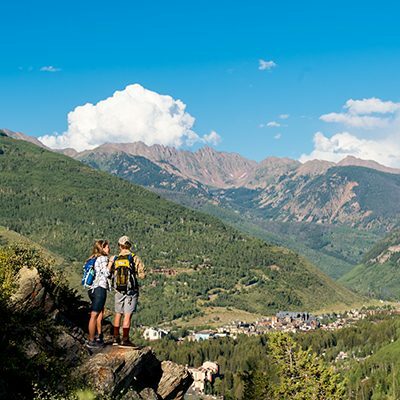 Lace up your hiking boots and hit the trails for gorgeous views of the Gore Range, wildflowers, and maybe even some furry critters. Guided by local ambassadors, you’ll hike alongside brewers, owners and other beer enthusiasts. Following the hike, enjoy a paired lunch from Vail Chophouse and beers from those you just hiked with – a picture perfect Colorado experience! Mother Nature Disclaimer: Hike may be weather dependent if trails and/or conditions are unsafe for our hikers. Lunch pairing portion of the event will happen rain or shine. This hike is geared for the beginner/intermediate level; please allow up to 3 hours for the hike and lunch. Limited space, as we want you to enjoy the hike without a crowd. Food and wine pairings have been the rage for years. But why does wine get to have all the fun? In this luncheon, the experts dive deeper with you into food pairings like you’ve never experienced before. 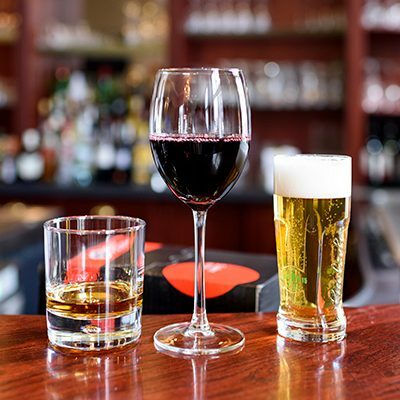 Sensational small plates matched perfectly with different wines, whiskeys, and beers, giving you a full appreciation of food pairings. This seminar will expand your senses, increase your knowledge, and impress your palate. 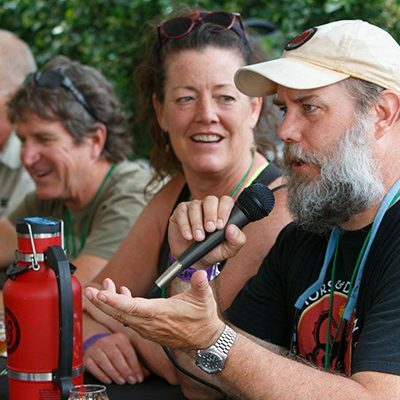 Learn practical ways to improve your homebrew from experienced brewers and owners. Ask your most burning questions during a homebrew day with our panel of experts from 3 breweries! This is your chance to rub elbows with your brewing idols and ask the questions they don’t tell you on the tour. Limited to a small group to make it an intimate brew day where you can learn and engage with the masters. Beer and food have the power to transform each other—enhancing your experience and enjoyment of both. We’ll explore the metamorphosis of beer and food together whether they have been expertly paired, or added into the cooking process. This crash course will provide you with the confidence to create your own pairings and add beer to recipes at home. We’ll cover the “sure things,” the “don’t go there’s” and everything in between with Horse & Dragon and our Cicerone and Chef partners. What does it take to stand out in a crowded market of breweries and new beer styles? We’ll talk to 3 breweries about their latest and most creative concepts to stay on top. Try Hemp beers, Brut IPAs, Norwegian Farmhouse, and open fermented brews. It doesn’t stop at the styles, try unusual pairings like beer and bugs – ya, it’s a thing. This is not your traditional tasting and you’ll get to try a dozen of our most unique brews at this beerinar.